If you’ve ever wondered what the finest funnel cake would taste like topped with cheese and sauce instead of powdered sugar, this is it, only much, much better. In order to achieve this state fair food gone deliciously wrong, Forcella’s owner and pizzaiola Giulio Adriani deep fries the stretched dough until almost cooked through. Then he places it in a pan and tops it with San Marzano tomatoes, house made fresh mozzarella, grated grana padano, and basil, before sliding it into a wood burning oven. It figures then that “Montanara” in Italian translates to “mountain,” because the result is a small pizza that delivers a mountain of flavor; the consistency – crisp and chewy yet delicate – and slight sweetness of the dough bring fresh donuts to mind while the quality of the toppings – creamy mozzarella, bright tomatoes and grana padano-crusted basil leaves – allows their simplicity to shine. Work fast though because like any Neapolitan pizza, the center of the pizza tends to get soggy quickly. 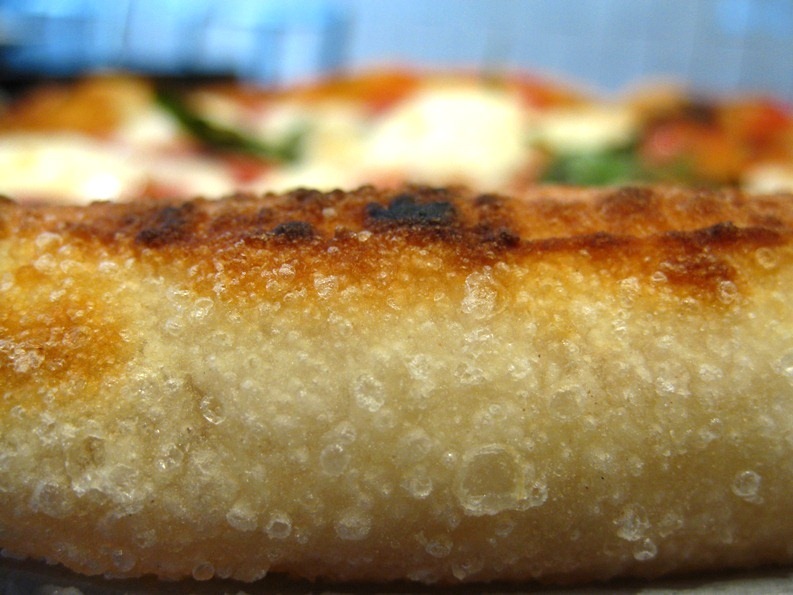 A necessary evil for a pizza unlike any you’ve experienced before. interesting. was wondering about this place. will try to check it out. So glad you wrote about this. I’m going to have to get my @ss over there asap. 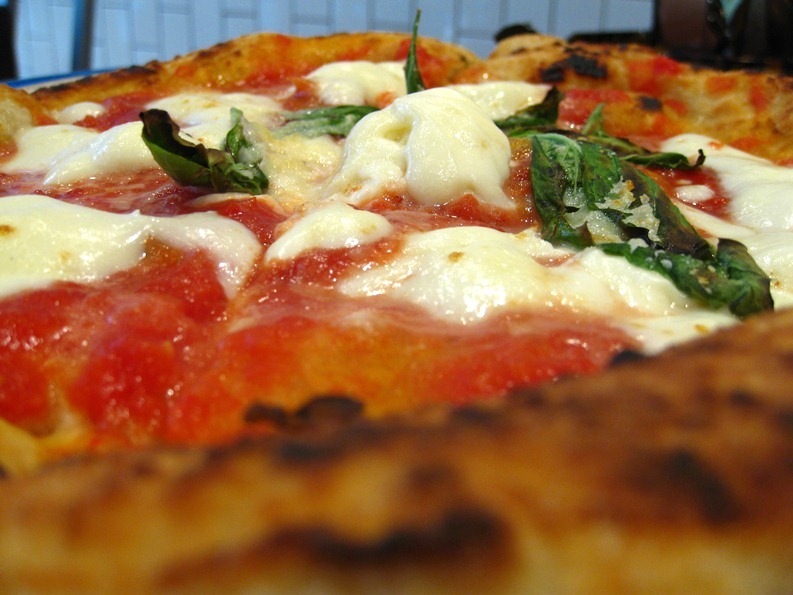 Have you tried the fried pizza at PizzArte in Midtown? Wonder how they stack up. Man does that sound good! Good idea to deep fry bet ir’s chewy. Tantalizing. If there’s a better word for the description above, I don’t know it. Bowery and Bond, too close for comfort. It is exactly the right distance for my usual afternoon walk. Now, I’ve a reason to get up from my desk, take a nice walk, reward myself for my conscientious care of my health, and then walk home at a nice clip. Thank you for the tip. They have a ton of other good looking pies too, I was in the midst of a food tour (Artichoke-Forcella-Sugar Sweet Sunshine) so I just stuck with the fried pizza, something light you know? Ha. I have not tried PizzArte’s fried pizza but I like the way your mind works. Perhaps we can check it out together? Whenever you want to come in and try it, I’m there with ya! It is chewy! But also crisp, light and delicious. Definitely a worthy reward, just make sure you walk the long way home! It’s right across the street from me, so I definitely have to check it out. I’ve been looking for a reason to enter, haha.